Back in 1990-91, the New Jersey Nets took the court in uniforms that looked to be straight out of a jazzercise accessory catalogue. 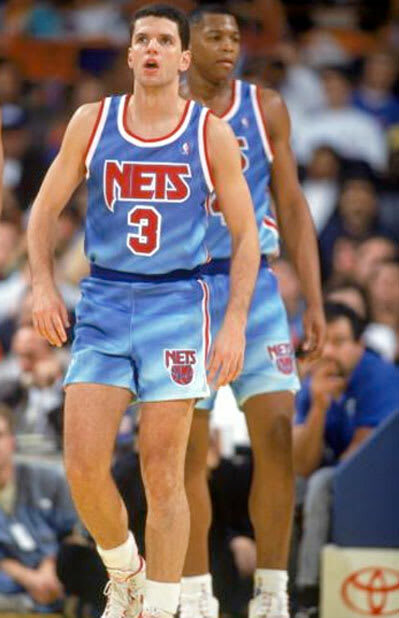 Partially tie-dyed, and undoubtedly-influenced by the stone-washed jeans of the era, the New Jersey Nets hold the title of the worst NBA jersey ever, while simultaneously holding the title of the only NBA jersey that looks exactly like chlorine-soaked pool water. Also, Drazen Petrovic, R.I.P.